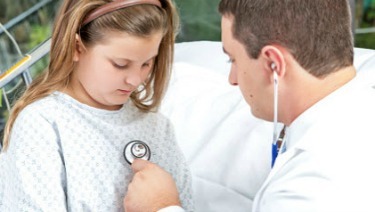 The American Academy of Pediatrics (AAP), the American College of Emergency Physicians (ACEP) and the Emergency Nurses Association (ENA) will publish the updated joint guidelines, “Pediatric Readiness in the Emergency Department,” that recommend ways health care providers can make sure every injured or critically ill child receives the best care possible. The joint policy statement, to be published in the November 2018 issue of Pediatrics, represents a revision of the 2009 policy statement and highlights recent advances in pediatric emergency care that may be incorporated into all emergency departments that care for children. The statement emphasizes the importance of evidence-based guidelines and includes additional recommendations for quality improvement plans focusing on children and disaster preparedness. According to the 2014 National Hospital Ambulatory Medical Care Survey, there were approximately 5,000 emergency departments in the United States. Of the more than 141 million emergency department visits, an estimated 20 percent were for children younger than 15 years. As many as 83 percent of children in need of emergency care go to a community emergency department versus a pediatric emergency department. “The joint recommendations help improve and standardize care delivery for children of all ages in the emergency department, create best practice benchmarks for emergency departments and strengthen pediatric patient safety efforts,” said Vidor Friedman, MD, FACEP, president of ACEP. AAP, ACEP and ENA are longstanding partners in the shared effort to optimize high-quality, family-centered care of children in emergency departments. In 2013, the groups collaborated with the federal EMS for Children Program, to launch the National Pediatric Readiness Project (NPRP) to ensure pediatric readiness of emergency departments. “The delivery of pediatric care should reﬂect an awareness of unique pediatric patient safety concerns. ENA, AAP and ACEP are working together to maintain and improve the quality of care that pediatric patients receive in hospitals and emergency departments. These updated recommendations are intended to serve as a resource for clinical and administrative leadership of emergency departments as they strive to improve their readiness for children of all ages,” said ENA President Jeff Solheim, MSN, RN, CEN, TCRN, CFRN, FAEN, FAAN.